Mock tests pages have been designed considering real exam i.e. for laptop / desktop usage only. On smartphones / tablet they might not render properly. Hello friends, I am Anmol Sinha. 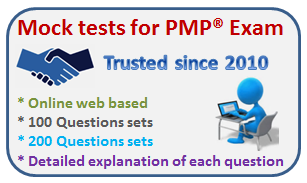 I hold these educational degrees in IT/Computers - Graduation, Masters & MBA and I am PMP® certified. 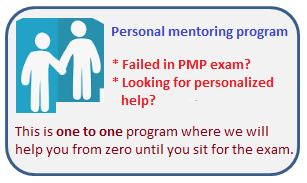 I have 15 years of experience (as on 2019) and I work as a mentor for PMP® exam and also as a consultant project manager. Please reach out to me on the given contacts and I would assure that your query would be answered. I keep education aspect away from business marketing, so please do not approach for affiliates, paid advertisement and business ideas. 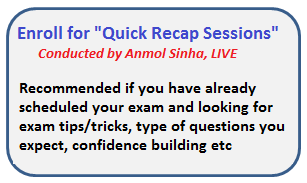 # Subjected to the availability of Anmol Sinha.